Analysts predict that the Russian videogames market will reach $1.4bn by 2015. As the sector continues to boom, developers are focusing on the mobile and online segments. The Russian videogames market will be worth $1.4 billion by 2015, according to projections by SuperData Research. The market intelligence company predicts the fastest growth in the segment of free-to-play online games with in-game purchases. The growth is driven in part by the rising sales of smartphones and tablets. Alisa Chumachenko, CEO of developer Game Insight, says these devices are also dominated by free-to-play games. Many Russians who live in big cities spend more than an hour on their daily commute; much of that time can be devoted to video gaming. 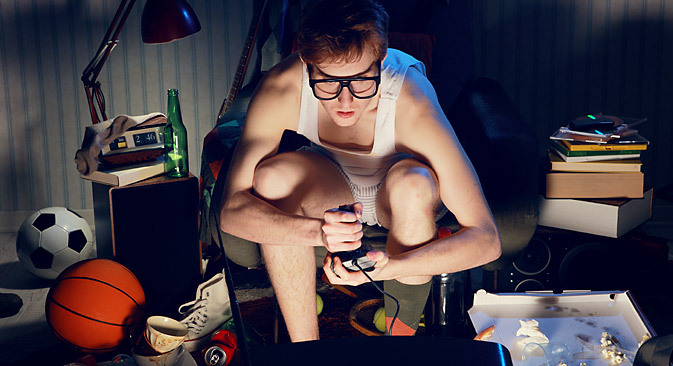 An estimated 16.6 million Russians play video games; this is almost a quarter of the country's economically active population. Experts say there is strong potential for further growth. The Russian market is still dominated by international bestsellers such as GTA 5 and Battlefield 4. There were large queues in game shops in Moscow on the day the latest instalment in the Battlefield series was released – an unprecedented situation for the Russian console games market. Even though multiplayer online games are quite popular among Russians, experts say that the segment is not very attractive for big business. “Video games still remain a strange and exotic industry in Russia,” Kuzmenko says. “A mass videogame culture has yet to emerge properly in this country. Representatives of big business often have a very vague idea of what videogames are. Many still believe that these games are just for kids, even though the average age of the Russian gamer is close to 30 these days. Nevertheless, Russian game developers are determined to win a share of the booming market. Most of them, however, tend to focus on games for mobile devices. Kuzmenko says there are only a handful of developers in Russia who have the capacity to produce a mainstream game for a PC or one of the next-generation consoles. In contrast, there are dozens of smaller Russian studios developing mobile games. Several Russian titles have achieved international success and won various industry awards. The latest example is Jungle Heat, an arcade and action game for iOS and Android devices. “Many of the games made in Russia or other CIS countries are very popular outside their home markets," Kuzmenko explains. “Take, for example, the popular puzzler Cut the Rope, by Moscow-based Zepto Lab. That game has remained at the top of the App Store charts for several years now. Another example is Warthunder, a high-tech online game by Gaijin Entertainment. Warthunder was one of the launch titles for the Playstation 4."